The police say that a man is in hospital, and several people are in storage after a stabbing in the William Whyte area on Monday night. Officers called Magnus Avenue and McGregor Street just before 6 am for a report on a gun attack. 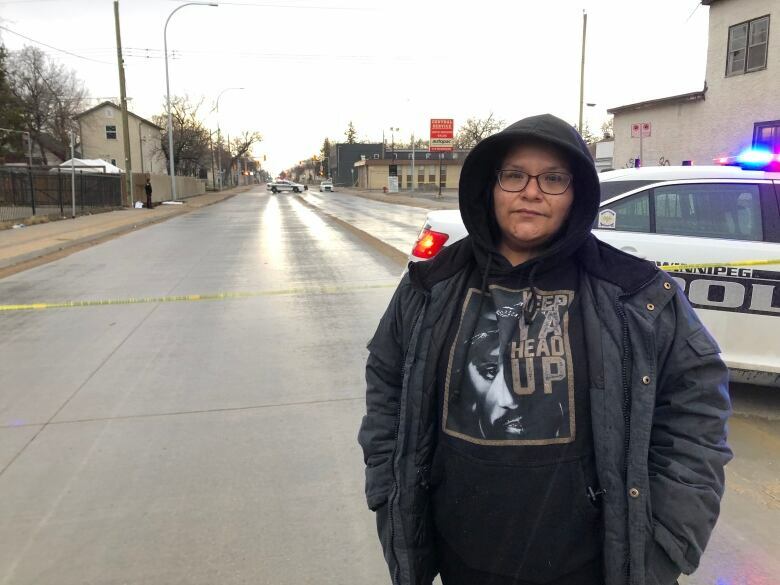 Rhyanna Runearth, 36, went down McGregor Street from Ma Mawi Wi Chi Itata Center as she saw police, ambulance and fire engines around a figure on the ground before putting him on a stretcher and into an ambulance. "I was shaken. I was nervous, thought it was someone I knew, it could have been a family member, it could have been a friend, it could have been a neighbor … it still worries me because I live in area ", she said. The police said the victim was rushed to the hospital, but could not say what condition he is in or his age. Runearth said the person was still on the ground when she saw the police rushing to a duplex on Magnus Avenue, which surrounds the house on the north side of the street around 6:15. "I saw them try to negotiate with the people inside, I watched them first take out two people, and then they put them on the boulevard in handcuffs and I saw an officer with a large rifle standing outside the house and then pulling out two other men from the house, she said. Several people were taken into police custody. Neighbors told CBC that there have been people who come and go and many calls to the building's landlord and Winnipeg Police about noise, unguarded children and suspected criminal activity there in recent months. Runearth said she believes the violence is due to the growing metric problem in the area. She has three children and said they find syringes on a walk to and from school every day. McGregor closed for traffic between Manitoba and Burrows for several hours Monday night while officers examined the assault.